According to the National Eating Disorders Association (NEDA) here in the United States, 20 million women and 10 million men suffer from an eating disorder at some point in their lives, including anorexia, bulimia or binge eating. They also state anorexia has the highest mortality rate out of any mental illness, and that is a scary fact, especially considering the huge lack of information and general education available in society. Eating disorders are not just an American disease, it is a human disease that is prevalent all across the world. According to ANAD.org, no one is immune thanks to a huge part played by the media which compounds many eating disorders. Men are less likely to seek treatment for an eating disorder because of the perception that it is a “woman’s disease”. It affects many athletes, whose sole job it is to keep their bodies in a certain condition, leading to many warped body ideals. It is not just education about the diseases and the triggers, but also recovery and treatment information that isn’t always readily accessible. Like any other form of health treatment, going to an eating disorder recovery center is very expensive. One of our bloggers Cami Julaine shared her experience going through an eating disorder and her intense recovery (which consisted of her taking an entire year of high school to stay in a treatment center). Two of the main things she admitted were that her parents had no idea what signs to look for, and that initially she was taken to a regular hospital for treatment which screwed her up even more. The recovery process can often be very isolating, because of the lack of information amongst the general population. Where do eating disorder sufferers and conquerors go to find a community of like-minded people where they can share their journeys and help each other without having to pay a hefty cost? The choices are scarce, but one woman is changing that. Jessica Raymond was a woman who saw a need and decided to fill it. 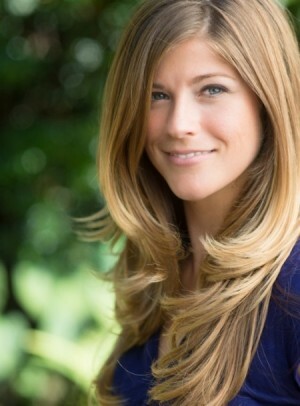 She previously suffered from an eating disorder herself, and while she was in recovery found that her regular “homework” of logging her meal habits, exercises and mindfulness tools were her saving grace as it created a sense of purpose and routine, taking her mind of potentially harmful habits. Five years free from her disease, she came up with the genius idea to create a free app that would allow other eating disorders sufferers to implement a simple routine and allow them to recognize negative behavior patterns in themselves throughout their recovery process, as she had done. The app is called Rise Up + Recover, and is available on the Apple app store. So far the app has been utilized in over 100 countries around the world, making a grand statement about how needed something like this is. “Knowing what I know now, I created the Rise Up + Recover app for anyone out there struggling. Recovery homework was the cornerstone of my success, but I saw ways that it could be improved. Going mobile has been the perfect solution, it’s private, convenient, and interactive! Stories like mine are possible when you take the eating disorder away from an emotionally sensitive, detail-oriented, high achiever,” writes Jessica on her website. The app is very interactive that has features pop-up messages and affirmations once a user has completed a task, and it also offers resources related to body image, relationships, mindfulness and relaxation, and self-esteem. “Essentially it’s getting to the heart of self-monitoring. You don’t know what problems to solve if you don’t know they exist. Through self-monitoring you can see where your problems lie, and you’re able to actually target them and solve them,” she told Chicago Now about how her app is different to eating disorder recovery programs. “When users log their meals and complete their check-ins, they are able to see how their emotions or certain situations — where they are, who they are with, the time of day — are affecting their behaviors,” she said. The app has been a first point of call for 33% of her users, but Jessica stresses that Rise Up + Recover is designed to be used in conjunction with an eating disorder treatment program. It keeps a patient connected to a global community no matter where they are, right on their phone. Jessica believes her app fulfills what she calls the “Four C’s” which are essential to recovery: connection to others, commitment to the process, courage and self compassion. 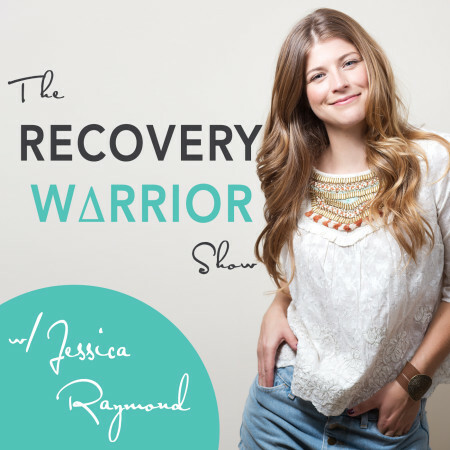 Aside from her incredibly innovative idea that could change the way information about eating disorders is shared forever, Jessica founded a podcast called The Recovery Warrior Show where she is out to prove that life beyond an eating disorder is possible and worth the fight. She regularly covers topics such as calories, trigger points, exercises, inspiring quotes, and shares everyday women’s stories who are also on a journey to recovery. We are so in awe of what Jessica has created. She has gone beyond the traditional boundaries of a health problem and found an innovative solution to not just recovery, but enabling sufferers to become warriors that help each other. February 22-28 is National Eating Disorders awareness week and if we have even made one small difference in sharing Jessica’s story, we hope it will help you to know that you are not alone.